About the British Bureau—established 1991. AWARD…..GREAT HONOUR: FABB was named the USA’S Best British Business Association 2010 by the UK’S Weekly Telegraph, reaching expatriates in 47 countries. In 1993 the Miami Herald headlined Patricia Kawaja, owner of the British Bureau as MISS BRIT in an article about her work. See CLIENTS and MEDIA page on this website for complete list. For any matter mentioned below, email your initial query to: britishbusinessflorida@gmail.com OR phone the office  371-9340 in Miami. TO JOIN FABB to showcase your Florida business, email us your business details with “Join FABB” on the subject line. 1] Advising and assisting UK based individuals and businesses relocate to Florida, via our relocation team of experts. 2] Public relations/marketing work for clients needing to reach the British community in Florida for various reasons. 3] It functions as a resource for British expatriates, providing solutions to the problems of the many Florida expatriates who contact us with an endless variety of unique UK-US issues. 4] As the Florida Association of British Business office, serving our British professional/commercial members in all parts of Florida and the UK. See our members listed on this website. To join FABB, email your membership query to britishflorida@aol.com Put “FABB query” on the subject line. 5] The British Bureau publishes the website www.www.britishflorida.com. This is Florida’s only complete reference source to all things British. 6] For 24 years, it was the Florida office of Union Jack Newspaper, the national publication for the British community in the USA. The newspaper, published in California by 2 British brothers, ceased business in July 2016. ► FABB [formed later in 1997] is part of the British Bureau. REASONS TO JOIN FABB IN FLORIDA or UK 1] If you are a British professional or businessowner resident in Florida you benefit from joining FABB and having your Florida British business listed on this website. 2] UK Brits wishing to emigrate to Florida click on the green EMIGRATE menu on this website. ► WHAT FABB DOES—-HOW WE CAN HELP YOU: We market British Businesses based in Florida. A British business is defined as a business in Florida with at least one British owner. OR a UK Based business with a branch operating in Florida. Most British-owned businesses [see #2 below] in Florida are small, often entrepreneurial in nature and often sole proprietorships. To the hordes of job-seeking Brits who contact the British Bureau often asking us for a “magic” list of Florida British companies hiring Brits. NO SUCH HIRING LIST EXISTS. There are no large British companies in Florida employing British staff. To clarify, there are a few major UK Companies with offices in Florida, but to circumvent US immigration hassle most of them employ American staff or bring over key British personnel on contract from UK. The British Consulate office in Miami maintains a list of those for UK-Florida trade purposes. ► THERE ARE THOUSANDS OF BUSINESSES IN ALL PARTS OF FLORIDA owned or operated by expat British residents. Our list includes hotels, pubs, hairdressers, flight schools, insurance agencies, travel agents, retail/wholesale outlets, web-based and iT businesses and many more classifications–all run by Brits. This website can never list them all because Brits are opening new businesses, or closing, or returning to the UK. FABB members and others showcased on this website pay for that exposure. British businessowners are not obliged to notify anybody, so tracking every new openings/closing is impossible. this website www.www.britishflorida.com is the only one to list current British businesses in Florida. Because we invest time and money to market this site heavily, any Florida British business with a presence on this site benefits. ► IN OUR DIRECTORY ARE MEMBERS OF FABB, British professionals in Florida or a business with a British owner or British-Florida connection. The directory changes often and represents a small percentage of British businesses and entrepreneurs operating in Florida. Nobody else but the British Bureau maintains an in-office list of British-owned or run businesses in Florida. The British Consulate, which worked with FABB on some of its UK-USA missions prior to 2004, focuses primarily on UK companies with subsidiaries or branch offices in Florida and has a list of those. We market and promote this website on behalf of FABB members. 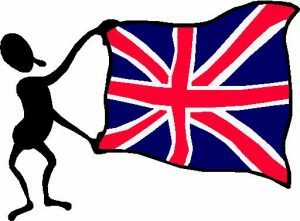 All our members are British or Irish immigrants from the UK. Some are UK-based Brits who are planning to move to Florida and FABB is assisting and advising them on all their needs. We also have a few British members in Spain, Greece, South Africa, Dubia, France and the Caymans who are using our services to emigrate to Florida. ► FABB HISTORY The British community in Florida has become huge. About 400,000 Brits live here permanently or temporarily. I.4 million British tourists visit Florida every year. Since the late 1970’s, when the first Brits came over to Central Florida to see the newly-built Disney World, they have been flooding into the Sunshine State. Delighted by what they found, thousands settled here, started businesses, bought homes and spread throughout the State. The British Ambassador to the USA recently stated that 1 out of 40 Brits come to Florida from Britain each year. By the early 1990’s, Ft Lauderdale and Orlando had become the area where most Britons took up permanent residence . According to US Government 1990 Census Figures, Broward County had the most British-born residents. Small British- owned businesses all over Florida flourished. This was reflected in the many British pubs opening up across the state—-to serve the burgeoning British community. Brits must have their pub, wherever they live in the world! By 2003, Sarasota had developed a considerable British community. Brits have also settled in large numbers in Jacksonville and now in Miami…attracted by the Magic City’s international ambiance. When Patricia moved the FABB office [and her home] to Miami in 2002, the Miami Herald did several features on FABB and the British Bureau. But back to the beginning…..In August 1997 British-born [then] attorney Michael Towner from Liverpool, and Londoner Patricia Kawaja, owner of the British Bureau of Florida, formed a partnership to launch FABB. Both were Ft Lauderdale residents, well-known and active in the South Florida British community. In July 1999 the partnership was amicably dissolved and since then Patricia runs FABB with her relocation team and professional associates. She never had any business dealings with him. Patricia Kawaja’s work with FABB and the British community has been featured in countless newspaper articles and TV programmes, here and in the UK. [See Clients and Media page on this website]. ► FABB MEMBERSHIP INCLUDES Florida and UK members in all professions. [Explore the membership lists on this website]. Since early 2002, with the unprecedented demand from UK Brits to emigrate here, a major part of FABB’s work is now steering UK-Based Brits through the whole legal and business process of moving here. Our expert team offers superb and trusted relocation services. To reflect the times, since early 2006 FABB has become primarily internet-based, with few actual functions. Members gain more business via the FABB office and FABB website than by attending functions in person. and after their move to Florida. ►►► Did you pay into a private UK company /private pension? [NOTE: This is not the British Government one –for that you have to write to Newcastle–see the address on the PENSIONS page on this website]. Access your lump sum now to spend in the USA! Find out how by contacting Mark Solomons, FABB’s pensions expert in based in Palm Beach, Florida. Call him on  793-1311 or send email to UKpensions@gmail.com. On subject line put: UK pension query. Include your name + city you live + phone.